For many campers cooking on a campfire is a special bond with nature. Romantic light flickering over the campsite, the crackle of the logs as they burn down to ashes as you listen out into the dark for unfamiliar noises. Sitting around a campfire on a clear starry night and roasting marshmallows, how more relaxing does it get. 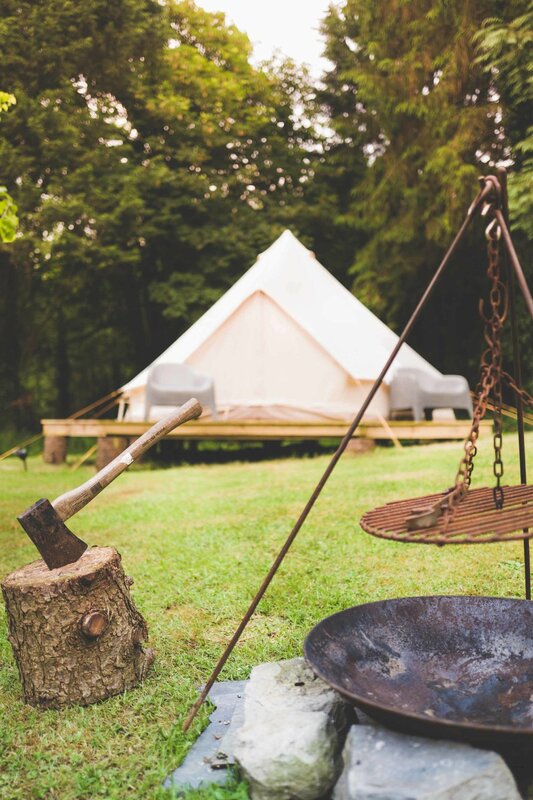 ‘Blacksmith’ made campfire tripod & corten steel fire pit with Dutch oven, hanging grill, cast iron frying pan, sandwich maker, saucepans, utensils, fire gloves and of course a complimentary bag of marshmallows. 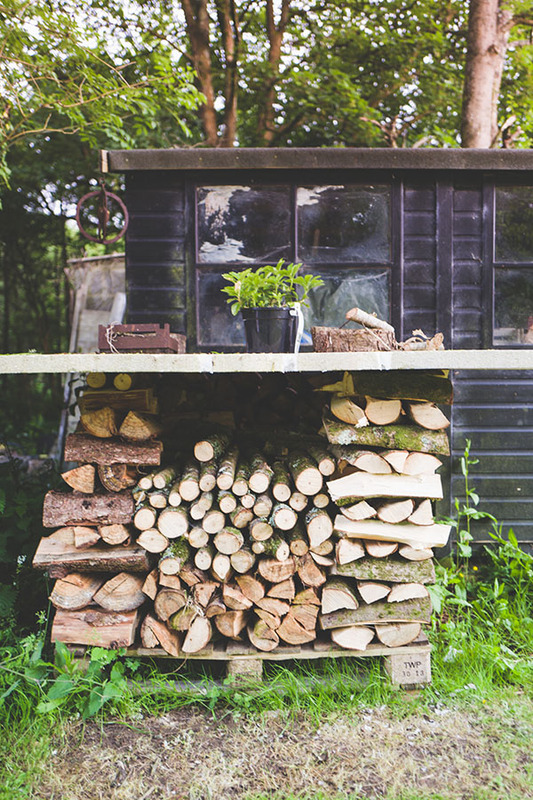 Firewood and kindling are provided (firelighters if you are out of practice). 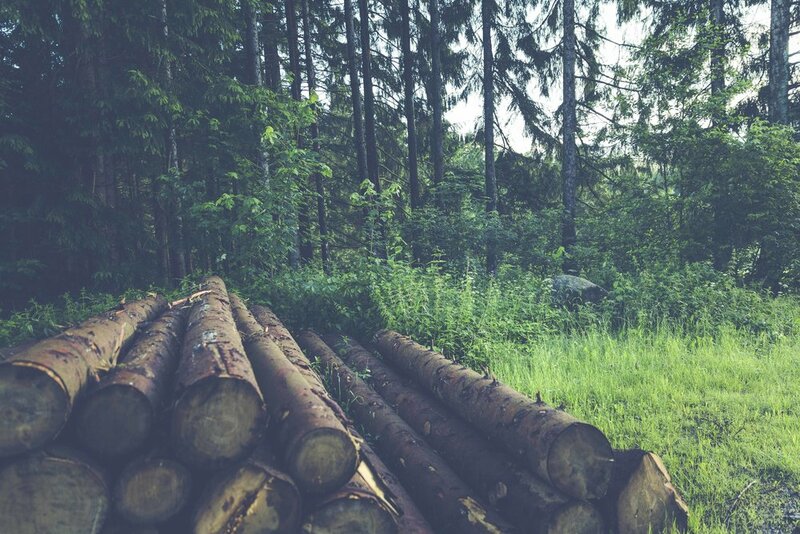 Extra firewood is available at an additional charge (this money goes toward the ongoing woodland management scheme for the woods). There is a also a large gas bbq with all the tools you need situated under cover within the pine trees for use during showers or when you just want to flip a quick burger! What is it about fires that we all find so mesmerising? An inate human trait? Human survival? Most of us no longer learn how to start, maintain and use fire during childhood, we instead end up with a curious attraction to it - a burning desire, left unfulfilled. Here’s your chance to fulfil that desire. Tinder, kindling, fuel wood is all that’s needed for a rip roaring fire. 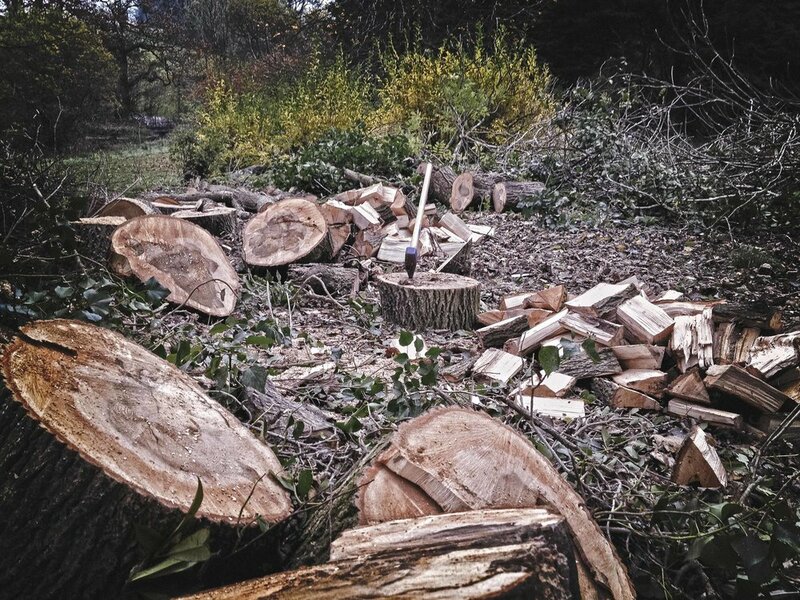 We supply all that you’ll need including a vintage hand axe to thin out your kindling - we don’t take all the work out of it. Sure, everything tastes better after a day of hiking and cycling, but you can do way better than a burnt hot dog on a stick. 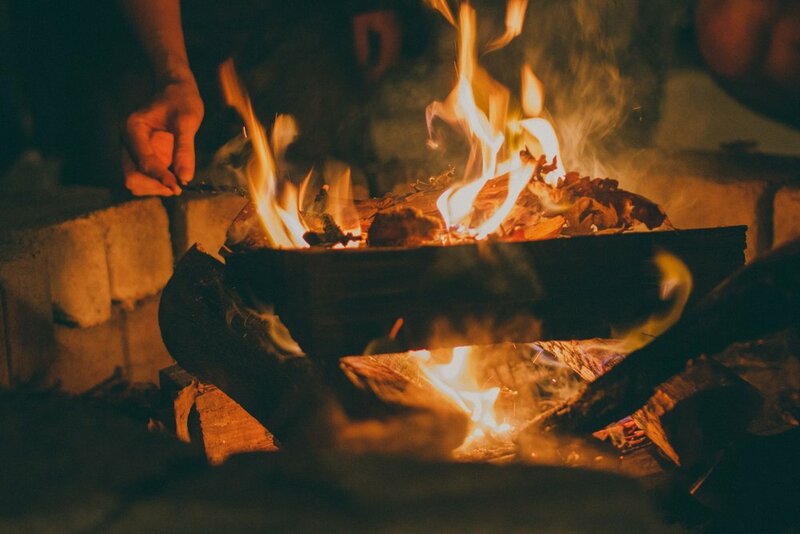 Rekindle your love of campfire cooking with recipes that are equal parts fun and sophisticated. 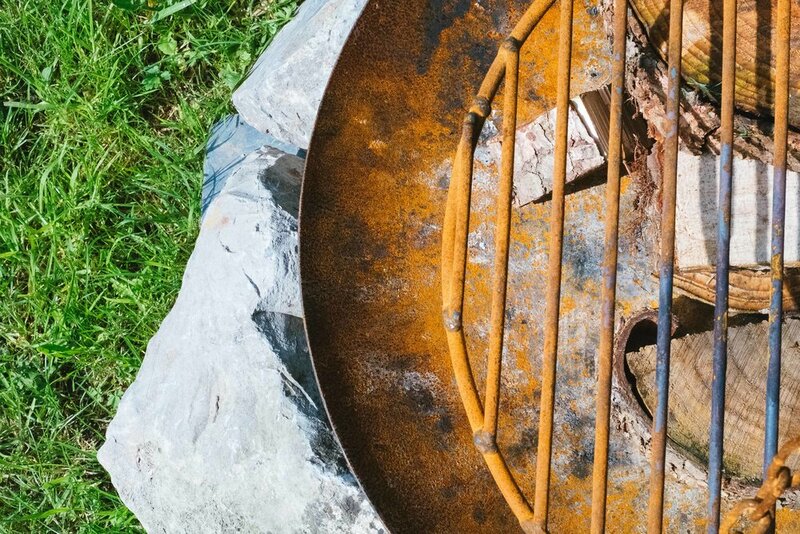 We’re currently working on a collection of ideas, tips, and recipes for your best-ever camping trip. Watch this space.